Silver's First Annual Fiction Contest has come to a close and your friendly neighborhood blogger is not among the winners. I didn't expect to win. I didn't even enter to win, although I'd be a fool to say I didn't "hope" to win. But those are two different things. 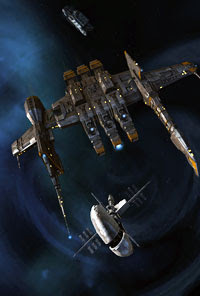 My entry was also my very first attempt at writing a piece of Eve fan fiction. Despite being a writer that gets paid to write, writing your first piece during your lunch break isn't exactly a standard of excellence that deserves to be rewarded. But I had fun and I still think the story is a good one. I would like to congratulate the winners. And say thanks to Silver for running the contest in the first place. It would have been nice to park a Vindicator in my hanger, but now I'll just have to do that the old fashioned way. Congratulations! I've read almost all of the submitted stories myself and while my own list of winners would be slightly different than Silver's, it wouldn't be that much different. I encourage everyone to continue writing and entertaining. I thought it would be interesting to produce a Crew Call poster for each of the four races in Eve. 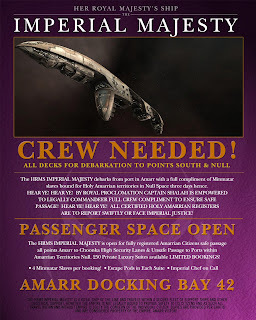 I know the reality that they would actually post such a poster inside stations is probably remote, or the fact that many people seem to believe that these massive ships are piloted solely by Capsuleers, but I still thought the idea worthy. 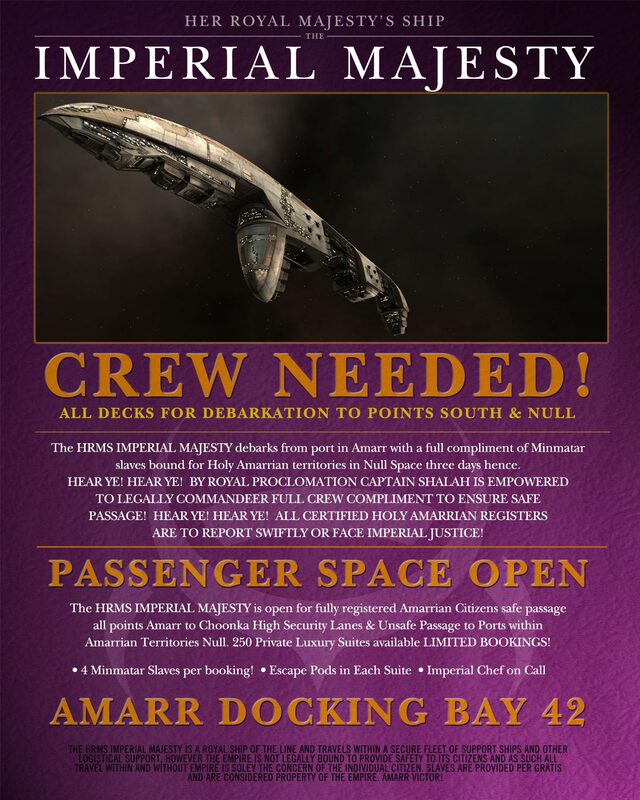 So today you get the first in the series, for Amarr. I imagine Amarr as a kind of Victorian England gone mad with religious fervor, at least that is how the Empire seems in my imagination. I admit that I am the last person who adheres to a strict interpretation of Eve cannon, in my opinion if it doesn't directly affect my game play then it isn't all that important. However, I also know that it is important to many people and I've also come to respect it more and more as I write this blog. So I've tried to stay as true to the subject as possible. Within my own creative license of course. Two more days. 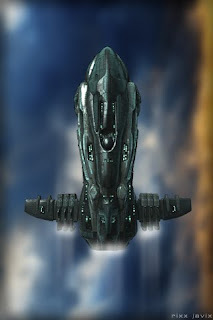 Two more days and Rixx will have completed his longest skill train yet, the monumental Battlecruiser V. Why monumental? Many reasons actually, mostly because of what it represents. First of all finishing BCV will get me into a Nighthawk shortly, which has been a goal of mine for almost a year. Secondly it will open the door for me to finally finish Large Hybrid Turrets V which I keep putting off due to the choices I've been making in-game. And LHTV means I can finally fully Tech 2 fit a Rokh and a Megathron. I know, I've been putting that off for way to long. From the beginning I've tried to take the long view with Rixx' skill plan. I say "try" because it hasn't been easy to do so. The one down-side to so many in-game changes, corps falling apart and corps switching alliances and starting and stopping your own corps, is that each of those changes brought their own set of priorities. Want to start your own corp? Well then, you'll need some skills for that. Want to put up your own POS? Well then, you'll need some skills for that. This Alliance favors T2 RRBS fleets, this one favors Sniper BS fleets, and this one favors HACs instead. While I am content with Rixx' skills at this point, he does tend to be an extremely well-rounded character, I have missed out on some of the fun a more single-minded approach may have given him. So it is nice to finally start catching up. But once I'm in my Nighthawk and can properly fly a fully T2 fitted BS, both RR and Sniper, then what? Do I focus on my Drone skills? I can already use T2 Warriors, Hobs and Hammers, but should I burn to mediums and heavies? Or do I skill up Destroyer V and go straight into Interdictors? Or do I start cross-training Minmatar? Or T3 and get into a Tengu? Oh Eve, you do tempt me so. Born Caldari, RJ's cross-training path is Gallente, Minmatar and then Amarr. The Gallente side is currently just about to go into Battleship, as soon as I have trained Large Hybrid Turret V. Which is up next after Battlecruiser V and Command Ship, the plan being to get into the Nighthawk and then train T2 Battleships finally. TMI probably, the point being that I haven't flown Minmatar myself yet. I have shot a bunch of them however and bunches of them have shot at me. 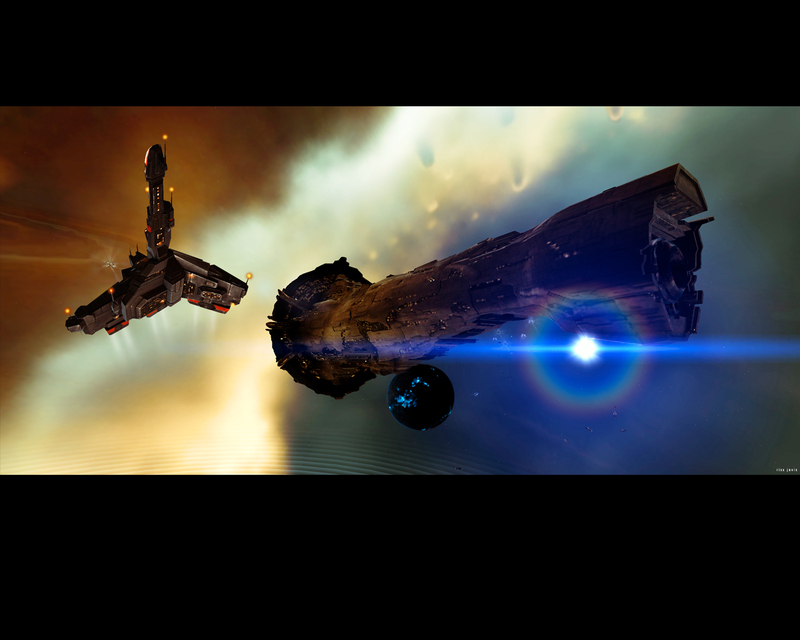 As much as I love all the ships in Eve, the Minmatar designs are their own unique thing. Duct tape and string? Not to me, to me they're more that weird thing your Uncle built out in the garage that has 520hp, the panels are all different colors - mostly primer - but it sounds like a freight train on steroids and rattles down the straight-aways. 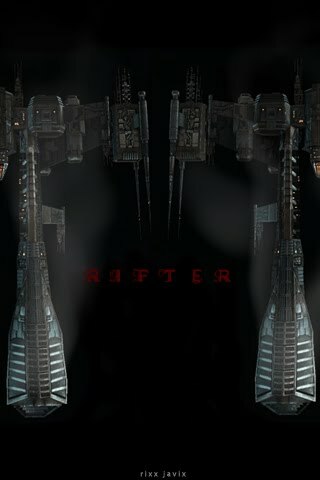 Either way, I present the Rifter iPhone Wallpaper. Enjoy. I found the image above to be a bit on the dark side when I got around to loading it onto my iPhone. So, being the wonderful and considerate friendly neighborhood eve blogger that I am, I am posting a slightly brighter version below. I'll leave the darker one up as well, knowing how dark the souls of some Rifter pilots are. I've always had a hard time with Alts. Even in the Corps I've belonged to, I tend to get the Alt situations mixed up and generally just ignore the "who is the alt of who" stuff that goes on. This isn't because I am incapable of remembering, it is simply because I just don't care. Or I haven't cared. I was always a one account guy, heck I never even created any Alts on my account. Why would I? You can't skill train them, so other than price checking in Jita, what purpose do they serve? I held on to that opinion for a long time, but I am always open to new ways of looking at things and that initial opinion started to evolve over time. I think the more complex the game becomes for you as a player, the more opportunities you begin to see another character becoming a solution. It is also nice to be able to fly other ships. So at the end of last Summer I started a new account and a new character. 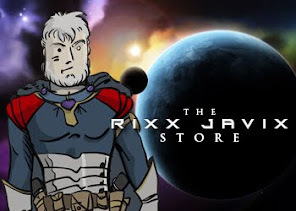 I created "her" as the in-game Wife of my main character Rixx Javix. Her name is Anastasia Javix and for a long time all she did was skill train, haul stuff down from Empire to a low-sec drop off and run chores for RJ. But about two months ago, she was the focus of a new long-range plan for Rixx. Along with my friend Angor and his new character Violet, we began discussing the possibilities for the future. These plans were extremely primordial in nature, but we felt that the best thing for our new characters would be for them to form a new Corp and hang out together for awhile. Continue skill training and start making their support/logistics/industrial role more official in nature. Those plans continue to form and take shape in our minds and I'm sure there will be more about that here in the coming weeks and months. The cool part for me is that Ana is Amarr, and since RJ is Caldari and Gallente, I had never been able to fly Amarr ships before. So now I'm getting the chance to fly a Harbinger and shoot lasers at people. Which, having been Ammo dependent for so long, is a lot of fun. Ana certainly isn't a PvP'er, but I do enjoy running missions with her sometimes. And the other day she bought a Providence to move my supply of minerals from one place to another, as Ana has started to seriously pursue a manufacturing career. Whoa, that is a big ship! It takes about a decade to align, but even so it was fun flying it. I think I've decided that Friday will be the day that new 1v1 FUNNIES will be posted, but I can't be sure... honestly I'm undecided about deciding that right now. But I can't be certain, I might change my mind about it, but I haven't reached a final decision about that either. Friday and decisions... not so much. To be fair, why should I decide? I mean, maybe making decisions is over-rated? Especially on a blog that appears to be pretty much me talking to empty space... I dunno. I'm unsure if I have readers or not. Have people decided, or do they remain undecided? What are they deciding anyway, and don't I have a say? Who are these people? And what gives them the right to decide anything! Yeah! Sheesh... people. Think they can just go around telling other people when to post things. I'll have you know that I will post things when I feel like posting things! So there. Put that in your pipe and smoke it Mr. Pushy Reader. Try to tell me what to do. I'll show ya. New cartoon and you can't stop me. neaner neaner. 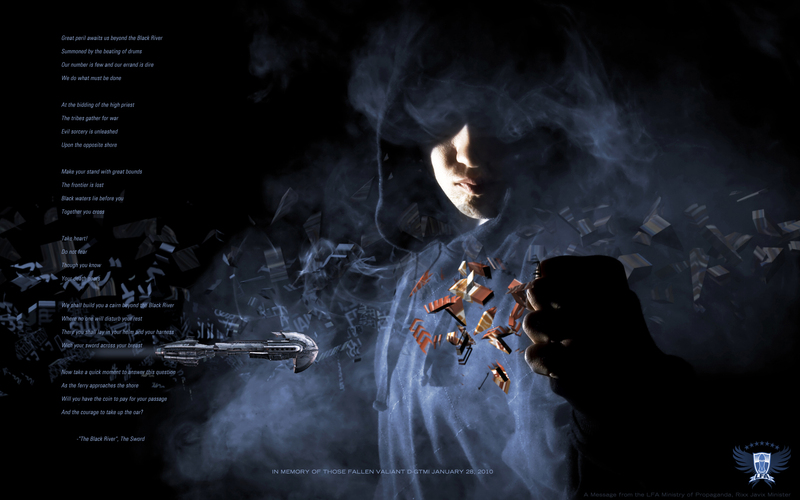 CrazyKinux (who I suspect might indeed be crazy, but in a good way) is running another contest over on his site, this one a Wallpaper contest. You can read the details for yourself if you are interested. I've been meaning to enter since it was announced, but man has this been a busy time, apparently Spring Fever isn't just words! Anyway, I've had this screenshot sitting around gathering dust on the hard drive since July of last year and thought it captured a moment in time extremely well. I did do some minor editing of the image, but only cosmetic. I removed a couple of background ships that were caught off edge, one label that managed to identify the Titan pilot (oops) and a general overall Color Level and Balancing thing I like to call "Movie Magic" (which sadly for you is a proprietary blend of actions developed over 20+ years that makes images real purty and which I can't share. Not that I wouldn't, but mainly because it isn't written down it is just something that I do by instinct at this point). I hope I win the contest, not because of vanity or anything, but simply because I could use the isk. Big changes are in the works that need to be properly funded. I can't share them with you right now, but rest assured that I will when the time is right. In the meantime, enjoy the wallpaper! Click HERE to download the 2560x1177 original. And, because I am such a nice guy, HERE is a 1280x1024 letter-boxed version! I admit, this is the first I'm hearing about Eve University. But from reading about it, it sounds like a great place to start your Eve career, anything that can help the novice player learn and function within Eve is something to be applauded. So kudos to those folks. I started playing Eve a little over 18 months ago on the spur of the moment. I hadn't read about the game, I hadn't studied the game, I only knew what I saw and what I saw meant that I needed to be playing. Whoa. Internet spaceships?! Sign me up. I've talked about the problems I experienced as a result, so I won't repeat those here. I certainly don't recommend the "plunge in" method for playing Eve. But on with the show. What do you wish someone had taken the time to tell you when you were first starting out? Relax. Eve is not a video game. You can't just turn it on and start playing your way through levels. It doesn't work like that at all. 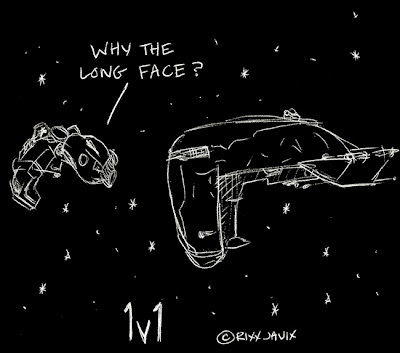 Eve is a commitment, especially at first. 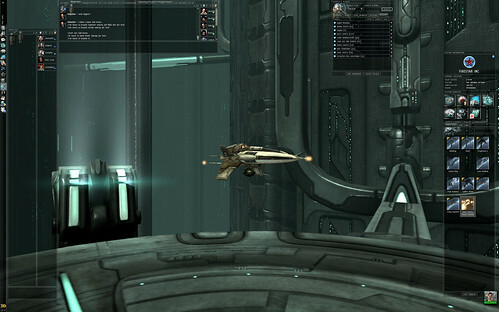 Eve unfolds on you and nothing happens quickly, unless you count being podded for flying your Noob ship into low-sec. That happens very quickly. Take your time and learn, learn the game mechanics well. While your character is learning skills, you need to be learning some as well. 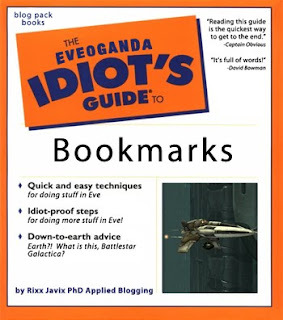 The most important in my opinion, no matter what career you choose to pursue, is understanding Eve game mechanics. They can be tricky, they can be frustrating, but knowing them like the back of your hand will come in extremely handy extremely quickly. So relax, take your time and don't try to conquer the universe all at once. It is amazing to me how many players that have been playing a long time, still don't understand the basics. We can be in a gang way out in zero space and someone will ask how gate timers work? Or low-sec station guns? Or why they can't jump that 127 AU warp all at once? 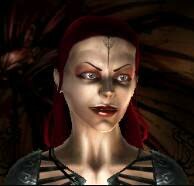 Or what Nanite Paste is for? The list is long and continues to get longer as they add more and more to our plate, I'm sure a whole new set of game mechanics will be introduced with Planetary Interaction. It seemingly never ends. Which is good news. Eve continues to grow. So grasping the fundamentals is important. And realizing that the learning never ends, and that Eve is a process not a destination. So relax and enjoy the journey. I learned that eventually on my own. Honestly, even if someone had explained that to me back in the beginning, I'm not sure I would've listened. Some things are best learned on your own. If I could give one piece of advice it would be simply this, find a good group of people that share your interests and hang out with them. Join a good Corp. That can be hard to find, but it is worth finding the right one. That'll make your journey so much more enjoyable and rewarding. Wow, two posts in one day! Granted, they are two easy posts in one day, but I did have to draw the cartoon! I've noticed some of my illustrious fellow Eve bloggers posting their character's in-game maps and thought, "Hey, that looks like an interesting way to get out of actually writing something!" So here goes. I remember way back when I first started playing, I thought it would be cool to visit every star system in the Eve universe. Heck, maybe someday I will just by process of elimination. As you can see most of RJ's career has been spent in the South. 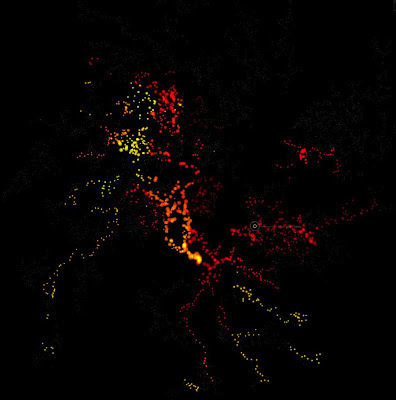 Some of those big blobs represent nearly 1,000 visits in places like PI-5 and D-GTMI. I don't know if it means anything, but it sure is purty to look at. Big place Eve. Behold the poor Drake. Abused, misused, cast-aside, and generally made to feel inferior in the universe of Eve. Grudgingly someone may say, "Well it's a heck of a PvE boat." as if that might be taken as a compliment amongst Drake pilots. Even though it is a heck of a PvE boat, that is beside the point. With nearly two-hundred kills in this horrible PvP ship, let me start by telling you a story. 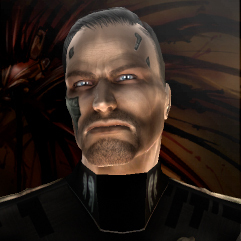 Once upon a time in the land of Null Space, a young and daring Caldari pilot proudly brought his badly fitted, but trusty Drake to gangs, gate camps, roams and even a few fleet battles. He knew he should be flying those shiny ships he saw in the sky, but he also knew he couldn't. Not yet. His dedication to his craft was such that he was more than willing to die, if only he could be of some use on the battlefield. This often meant he became aware of what "bait" meant, and yes he died more than he should. He didn't get on as many kill mails as the gun based pilots, because kill mail whoring is something a Drake pilot cannot do. All this, he didn't mind. He knew things would get better with time, patience and practice. But there was one thing he could not abide. "No Drakes!" No Drakes Allowed. But...? Bring something else. He heard those words over and over again. For months. 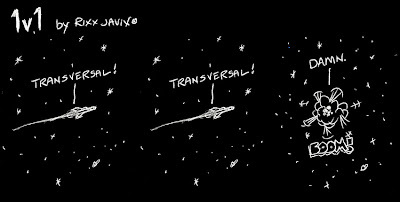 And still he continued training, refining and yes even flying other ships (I mean duh!). His trusty Drake continued to improve even while he never really flew it all that much anymore. All along he knew that one day, one day his faith in the little ship would be rewarded. And one glorious day, things started to change. Suddenly enemy fleets and gangs began to appear that featured Drakes, Drakes in large numbers. The vaunted guns and auto-cannons could not stop them, the Drake gangs began to be feared (rightfully so btw) and slowly things started to turn around for the little ship. Suddenly FCs began asking for Drakes in their gangs. 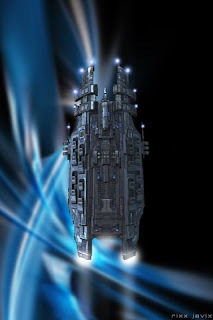 The awesome firepower of 40 Drakes in a fleet began to be respected. And all was right with the world once again. >cough< Ok, that was a little melodramatic, but it also happens to be true. Let's be honest, every single ship in Eve has its positives and negatives. There isn't one Holy Grail ship that rules them all. Anyone who thinks that is sniffing glue and you need to stop listening to them. Yes the Drake has some serious negatives, but those (again like any other ship) can be used to your advantage. With the right set-up, the right mix of ships on your side, the Drake is a formidable weapon. Having said that, I know why the Drake gets such a bad rap. 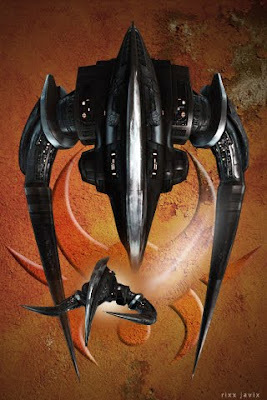 It is one of the easiest ships to get into in Eve, thousands of young Caldari pilots wizzing around the universe in the darn things, badly fitted, inexperienced and ready to be popped by the first thing that comes along. I know, I used to be one of them. Yes I used to go solo into Mara and Old Man Star in my Drake. Good grief, I thought I was tough. I wasn't. I learned many valuable lessons doing it. And maybe even added to the poor Drake's reputation in the process. But now I can fit my Drake in a variety of different ways, it happens to be one of the most versatile Battlecruisers in the game and my skills are such that my resist tank is very tough to crack. Go ahead and try. Had some Battleships try and fail yesterday. I don't fly the Drake much these days. 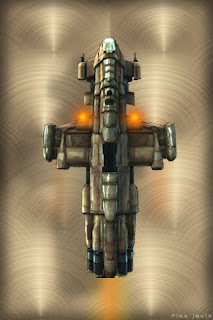 But when I want to have some fun in a tough battlecruiser that can bring the dps, I rely on old faithful. 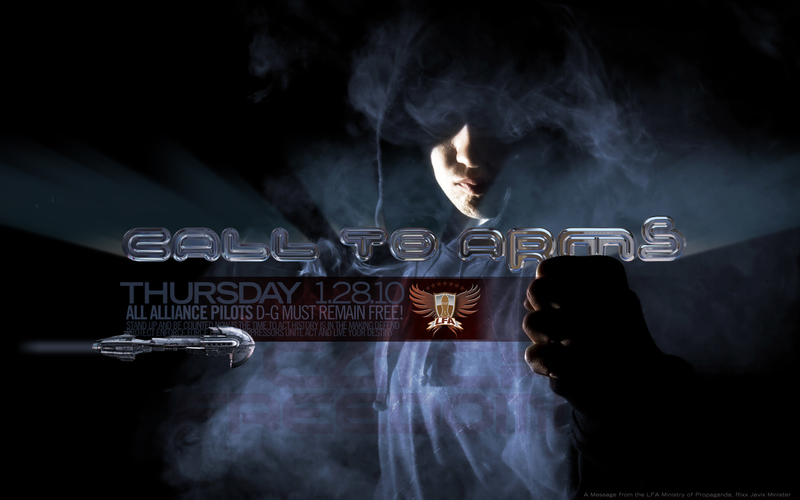 And for those of you that like to hate on the Drake, I invite you to bring your favorite BC to the planet of your choice for a little 1v1. If you bring a blaster fitted boat I'll even spot you 25% shield damage. You can read the Dev Blog and the minutes for yourselves, I thought I'd share some of my own thoughts regarding some of the issues brought up during the meeting. And no, I don't have a single bit of inside knowledge to share with you. Only my personal thoughts, opinions and wild-speculations. I do promise to stay away from issues that I know nothing about. I think you'll agree, that's all we need is yet another uniformed opinion. I like to scroll all the way through the minutes down to "Various Issues" and see what's cooking. This is always more fun. Ahh, a Battle Recorder! Now that would be awesome wouldn't it? If you could review your battle after it was over? CCP seems to already have something like that up and running in their offices, maybe they'll share it with the rest of us someday? Don't hold your breath. Looks like self-destructing your ship to avoid the bad guys getting a kill mail might be a thing of the past. 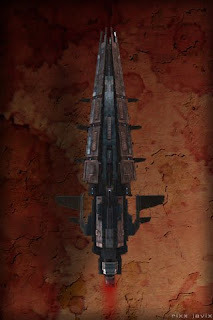 CCP is looking into the possibility that the last person to shoot such a ship would still get a kill mail. Huh. If you're gonna do that you might as well give everyone who shot the ship a kill mail. Only fair. Black Ops ships might be useless. Duh. The return on investment is marginal at best, Black Ops needs some love and attention. Just a little. Tweak. Nudge. The same with Destroyers. Does anyone really fly these things after awhile? I tried bringing out a T2 fitted Catalyst awhile back, which has some pretty cool features and even managed to make some kills with it, but its a toy. For fun. Oh the Docking Game. Lol, well like everyone that hunts other pilots for a living, I am of two minds on this issue. It has always been retarded to me that you can't have access to an overview when you are docked in the station. Is this science-fiction or not? 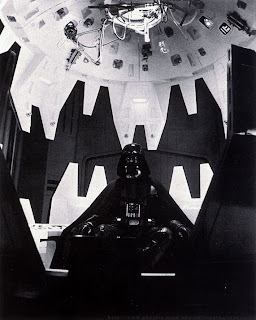 Imagine getting into the Captain's chair of your shiny new Apoc and asking Scotty, "So, what's it look like out there?" And Scotty, the 'ol Docking Manager, can only shake his head and wonder. Cause he doesn't know! On the other hand, I might be sitting out there just waiting for that shiny new Apoc to undock so I can keeel it. Sheesh, talk about a puzzler. It's made my puzzler sore. Suicide Ganking? Let's not change the insurance ok? Heck, sometimes, this is the only way to make some isk when you really need it. Corporation Bookmarks! Hell yes, I am all for that. Another duh. The rest was mostly the usual-usual, we want more power and longer-terms, waaaah CCP doesn't talk to us enough, where'd all that Haiti isk go?, CCP don't read petitions before answering the petitions (especially when they are from Rixx Javix, a complicated and compassionate player! ), Dominion made things really hard and not enough noobs are in Zero Space. Heck I'm all for more noobs in zero! Bring 'em on. Fleet fights make the servers wonky, tell me about that one!! I lost more ships than I care to count to wonky servers and they didn't read my petition either. Changes to the Alliance Tournament actually sound like good changes to the Alliance Tournament. Apparently a lot of people are ripping off other people in the game. Really? I'm shocked. More and better rats in zero? That'll get those noobs down there so I can k... talk to them. Some guns are better than others, did you know that? And not word one about missiles, which granted are not guns, but that seriously need some love too. Ah, CCP comes up with some great ideas and then never actually does anything with them? Sounds like my life. 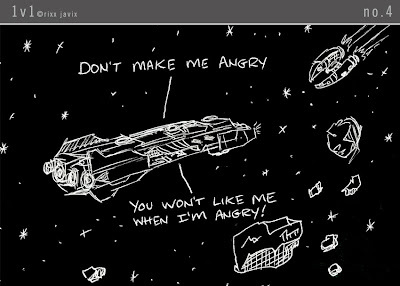 If the above sounds like I don't like CCP or the CSM you are sadly mistaken. I do like 'em. I like 'em so much that I want them to do a great job. I want Eve to be perfect, fun and make sense. I'd also like it to continue being beautiful, engaging and challenging. Please. I returned to Providence for one very simple reason, they were finally doing something. I'd been away for over four months and much had changed that I wasn't aware of when I decided to return. But I thought I could help with the campaign in Catch, could contribute my portion to the war effort. And so I spent a good solid week selling my assets in Insmother and hauling what was left all the way back to Providence. What I found there was not what I had left there. But for the first two weeks of my return, things seemed to be going well and I put my full effort into Sov warfare. Killed a lot of SBUs and enemy ships. I think we all understood that we were riding a dangerous wave. If -A- ever decided to focus on Providence, there wouldn't be much we could do to stop them. Not full force. I've known that fact since I first moved to Null Space over a year and a half ago. Upon my return I resumed my self-appointed role as Minister of Propaganda and had already issued several pieces on the forums. I believed, and I still do, that such efforts actually do help. And so it came to a few days before January 28, 2010. The day -A- would invade D-GTMI and we would finally go toe-to-toe with our neighbors and be completely pwned. You wonder about me saying that? C'mon now, hopefully you know me better than that by now. Let's be realistic here. We all knew what would happen, at least the grunts did, I can't speak to the leadership since I had given up my part in that process when I had left the last time. Having said that, we were all more then willing to give it the 'ol college try. My ships were fitted and standing ready to be sacrificed. 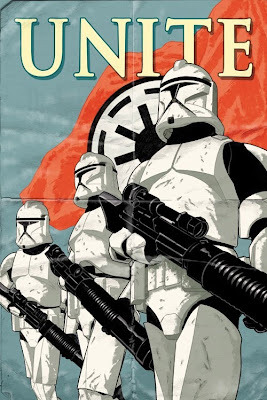 And I issued this Propaganda poster a few days before to get people ready. Obviously that day turned out to be a slaughter. Of Providence. For my part I gave four ships to the effort, but I didn't shoot anyone. The first ship was lost that morning to bad intel, jumped right into an unreported red gang. I made it back to the gate and jumped right into another red gang. Lol. It happens. The worst loss was the last one, I had waited in a nearby system for almost two hours sitting next to a Titan waiting to be bridged into battle. When it finally happened, my ship was caught between two systems. The original system showed on the overview, the new one in local and my ship was invisible... for almost an hour. Finally, in frustration, I logged. When I re-started I was in my clone. Apparently my ship hadn't really been invisible after all. 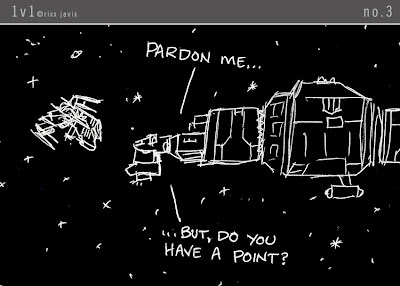 Imo this was a horrible example of game mechanics gone wrong, and not the only horrible example that day, but CCP doesn't see it that way. Whatever. No sour grapes.